RoboPeak Mini USB Display sales very well since last October. We received a lot variable comments and suggestions from customer. Now, the upgrade version of USB display is coming. The upgrade RoboPeak Mini USB display uses latest 1.04 firmware which boost frame rate a lot by supporting data compression. We supporting more devices in this version: ArduinoYun, WR703 and Iteaduino Plus A10. You can download related pre-built ROM in the firmware download page. We made a FAQ List for frequently asked questions. Please feel free to contact support@robopeak.com if you have any other questions. 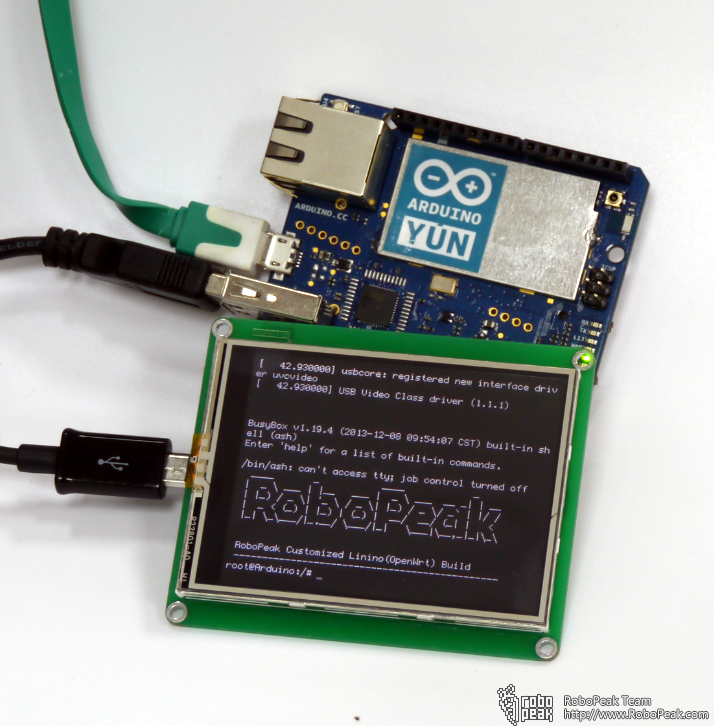 We will publish user mode driver and application SDK for RoboPeak Mini USB display in the coming weeks. By then, you can develop display application easily with the SDK in Windows/Linux/MacOS. Stay tuned! 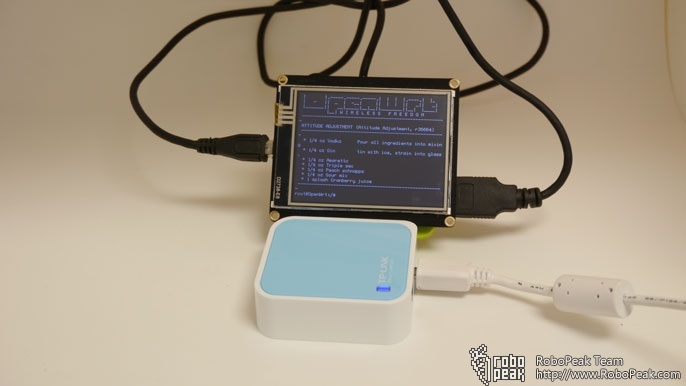 Hi, which is the linux distro used in image for Itead plus A10 NAND ? I am interested in your LIDAR product. However my application requires imaging at about 7 meters – just outside of your limit of detection. Do you plan to have models with a longer range? Also you show examples of 3D imaging but how is this accomplished? Is there an additional servo motor that scans the vertical field of view? 3D models require extra scan motors. Currently our RPLIDAR is calibrated to measure 7 meters but it is not guaranteed as spec. To measure longer distance, we also provide customized version which detects distance up to 12 meters. The customized version requires a minimum order quantity. When is the Windows SDK coming?